via technologicvehicles.This would be pretty awesome… only a concept for now. Video after the jump. The People’s Car Project is an initiative launched by VW in China to design the new people’s car, an open-source project where citizens can submit ideas to VW’s R&D in China. 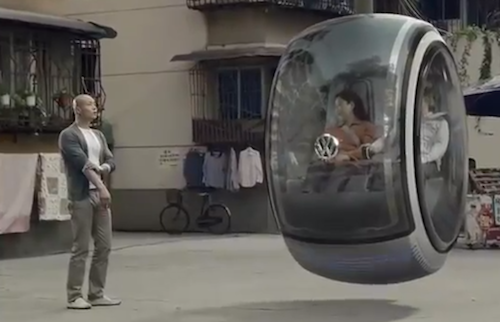 Starting from these basic concepts, VW’s engineers made this idea become true with an original vehicle using electromagnetic levitation -to provide freedom and comfort- but also safety oriented with distance sensors to avoid crashes.